Hi everyone! 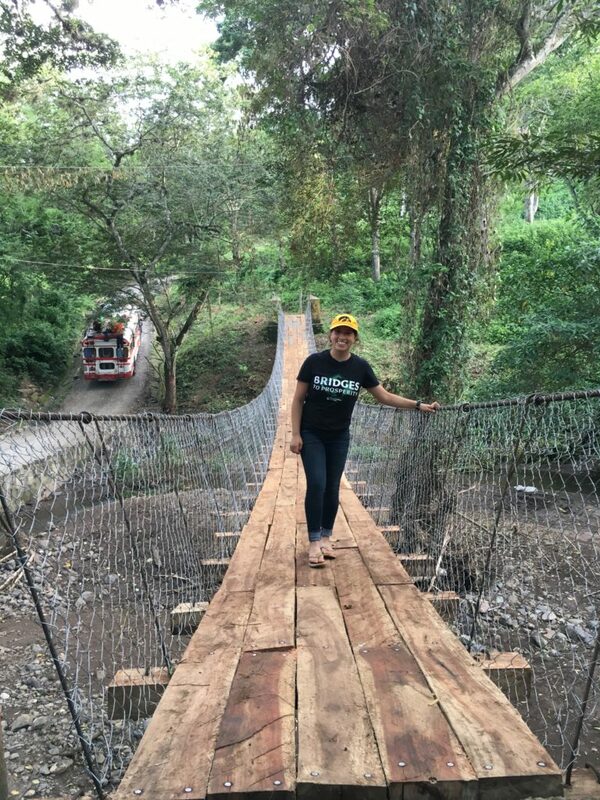 We have enjoyed our second week in rural Nicaragua and our repairs on bridge #1 are now complete! 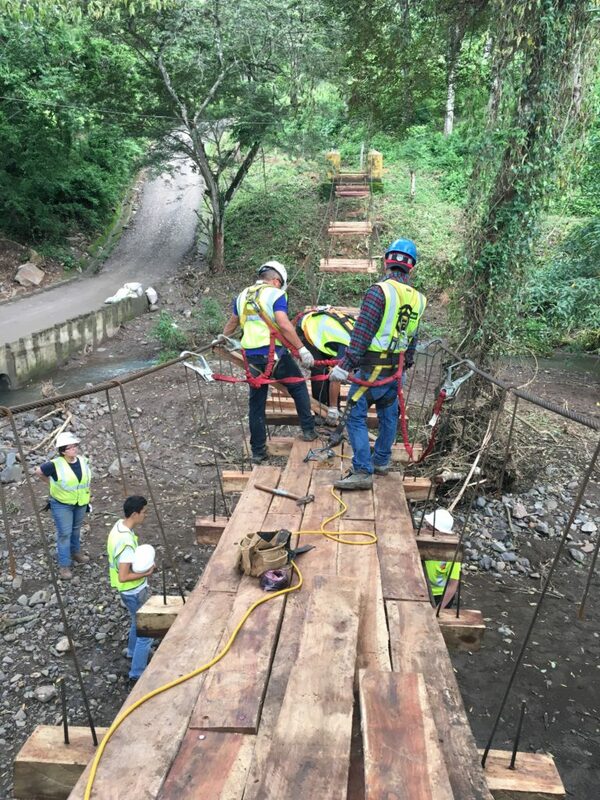 This week in Guadalupe, we set the deck on the bridge and put up the fence. We finished cutting the planks and treating them with diesel and salt to better preserve the wood and keep bugs from rotting through it. Deck setting is a lot trickier than it looks. Think of it as a giant game of Tetris, except the pieces are significantly heavier and they do not magically drop to you from the sky when you set a piece down. The process took a full day to complete and we had three people working on it. One person was the ‘runner’ who would walk over the planks from one end of the bridge to the setting. Another person would set the wood down, move it around or flip it until it fits and then drill it into place. The third person would connect the planks to the cross beams with lag screws, as all three would help sustain the pieces together. After the deck was set, the fence was installed by nailing the bottom edge of it to the deck then bending the top part over the cables. The fence was secured by wrapping wire pieces through the fence and around each piece of rebar. After some final touches and cleaning up, VOILÀ! We have a bridge. Overall, the week was a lot more productive since we had two new members join us. 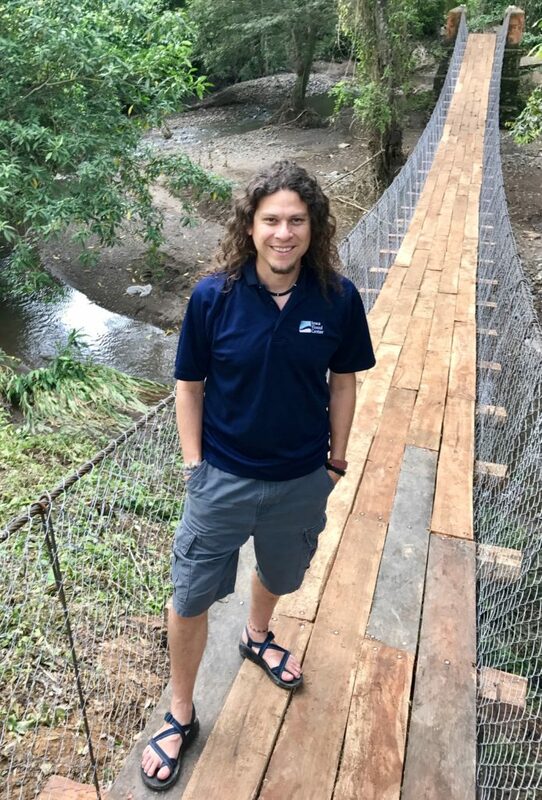 Ricardo Mantilla, an assistant professor of Civil & Environmental Engineering at the University of Iowa, has joined us this week, providing new energy to the team and community. He has helped supplement the guidance from Patrick Miner, a Senior Structural Engineer at the Southeastern Pennsylvania Transportation Authority (SEPTA). Both Ricardo and Patrick have generously offered their time to provide technical guidance to the construction teams in Guadalupe & Samulali. 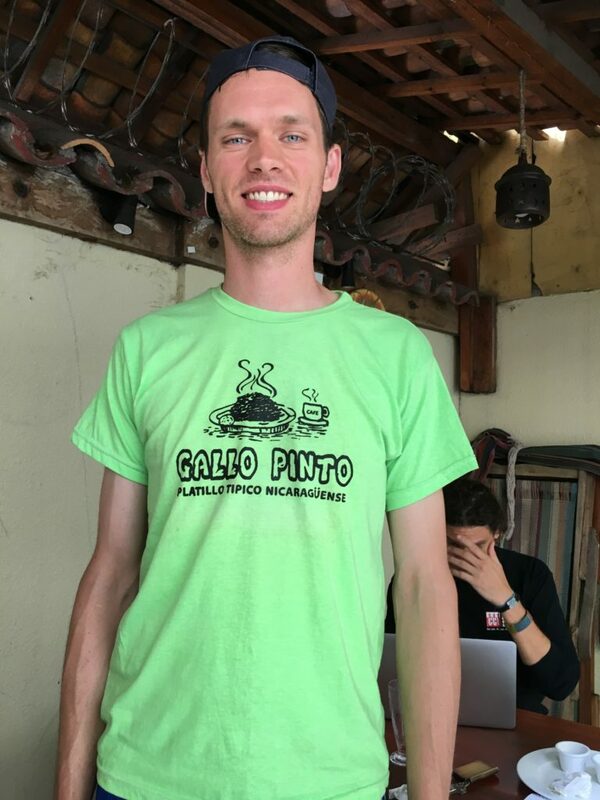 In addition, we have had the pleasure to work with Mario Gonzalez, a technician and mason from the Instituto de Promoción Humana (INPRHU) from Estelí, Nicaragua. 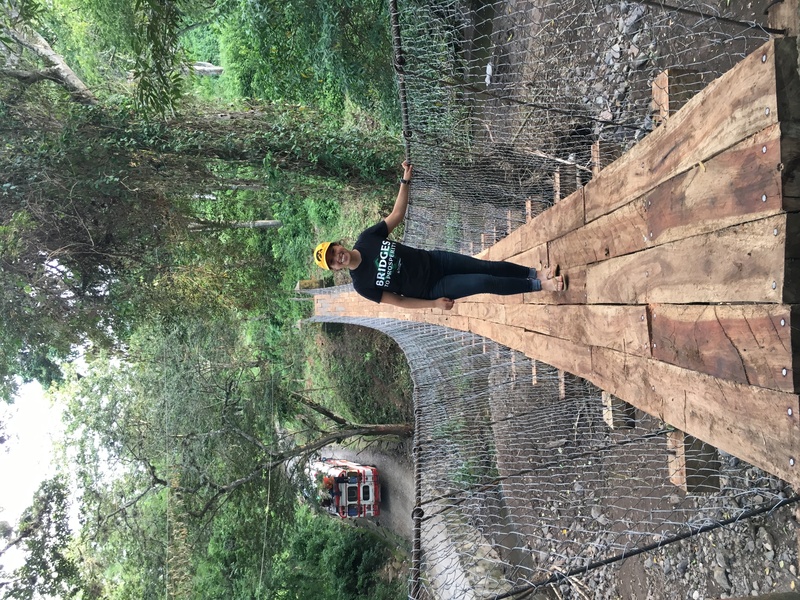 This is Mario’s first time working on a bridge project, and he has helped us overcome some unexpected challenges. After Guadalupe we moved on to bridge #2. 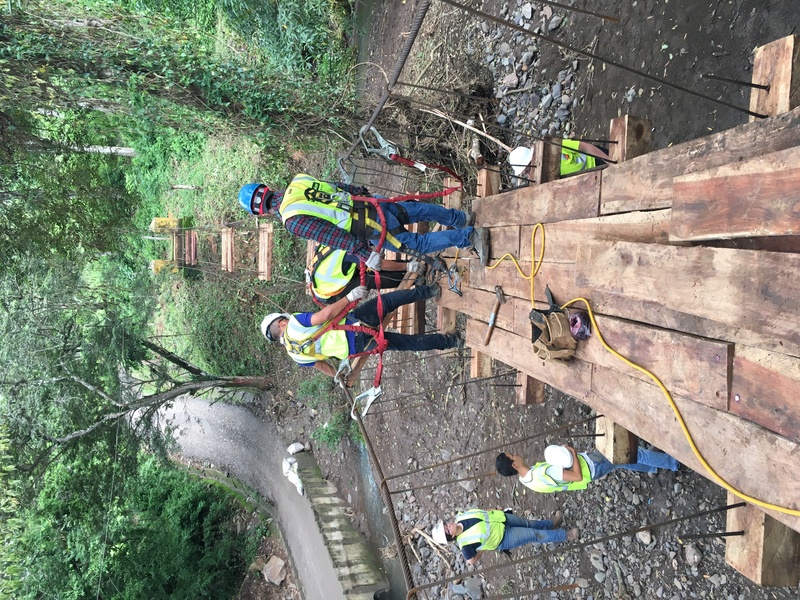 We tore down the bridge deck in Samulali and installed the new cross beams. That day was a perfect example of ‘improvisation at its finest’. The first occasion was when we forgot to bring one of the most essential tools for rebar bending. Chepe, being the true builder that he is, made one from the handle of a metal hammer and and shaped it to the desired form. The second occasion was the when it started to downpour on site and there was no shelter to hide under. 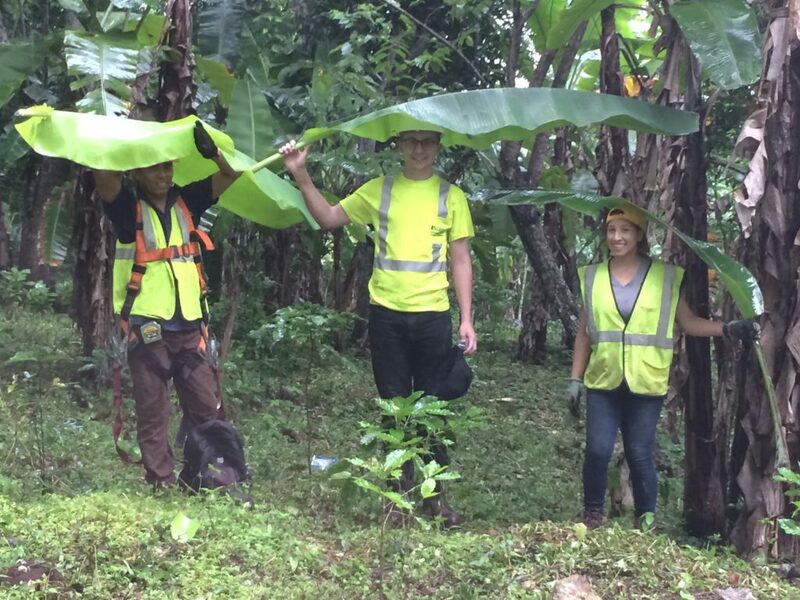 The first thing that caught my eye previously when we arrived at the bridge site were 7+ foot banana leaves! Little did I know they would later serve as perfect umbrellas. Aside from the manual work, Nicaragua has amazing food and beautiful mountain views. The whole travel team has discovered a new profound love towards Betzabeth’s fried chicken and Gallo Pinto (which is the typical Nicaraguan dish)! The amount of ways the woman can cook rice and beans is unbelievable. We never get enough of Gallo Pinto even after eating it for breakfast, lunch and dinner. 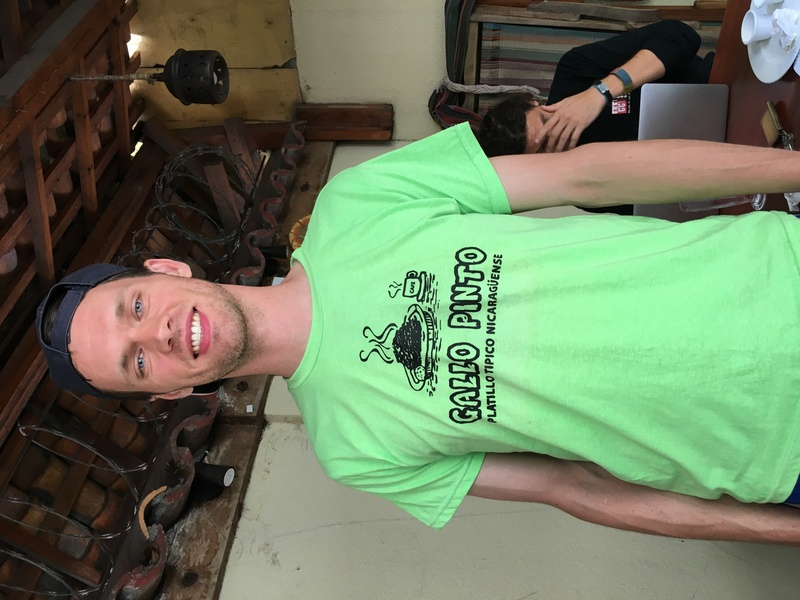 Just look at Patrick’s shirt!